Close Download ISO 9001:2008 Certification in PDF format. 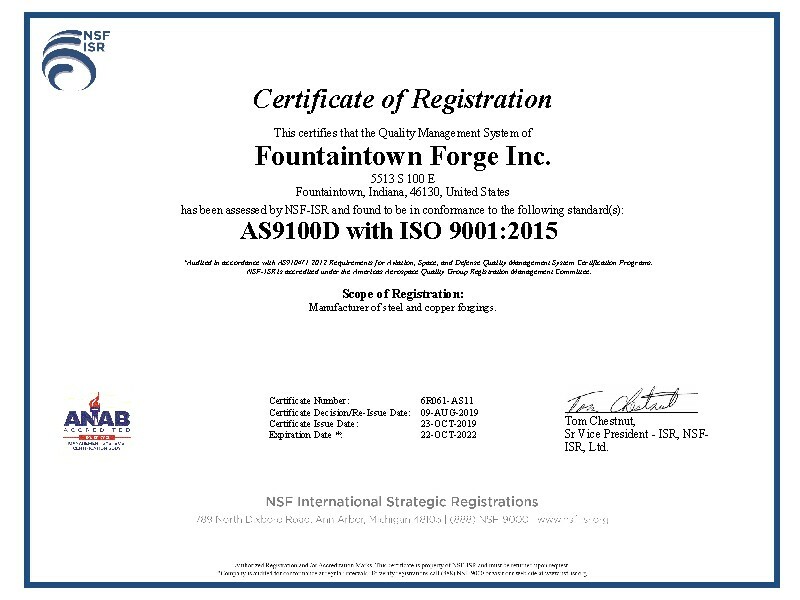 Close Download AS 9100:2004 Certification in PDF format. Some original members of Fountaintown Forge. Richard DeGroot of Indianapolis Drop Forge a division of Federal Drop Forge of Lasing, Michigan, founded Fountaintown Forge, Inc. on May 23, 1969. 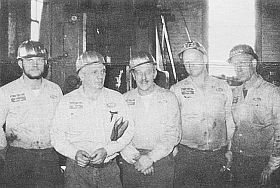 For a very brief time the company was called Mallory Metallurgical Company. 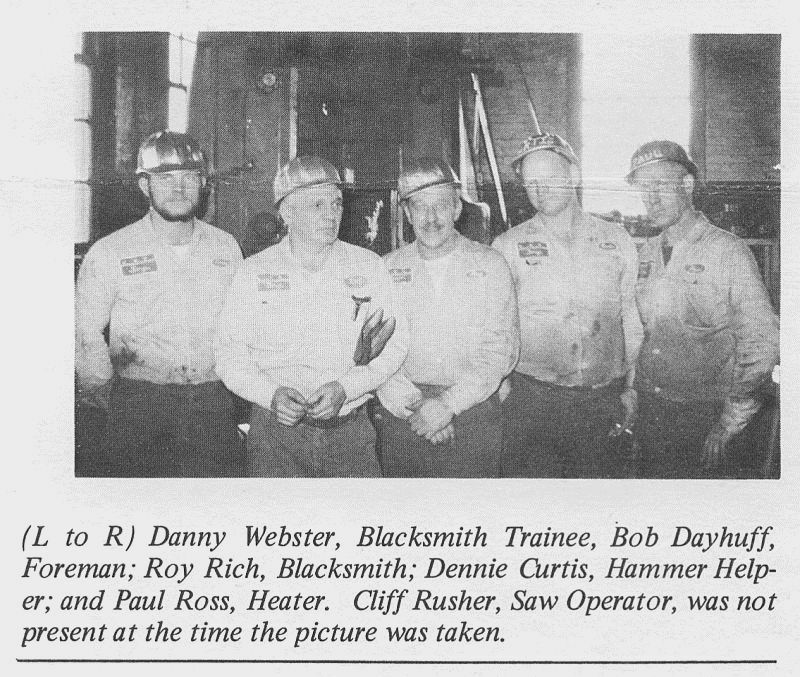 The company originally started with seven employees and all of the employees transferred from Indianapolis Drop Forge. The forging business originally started out as a manufacture of non-ferrous steam welding wheels and resistance welding die materials. The company quickly added ferrous type and super alloy metal products to meet the requirements of their customer base. 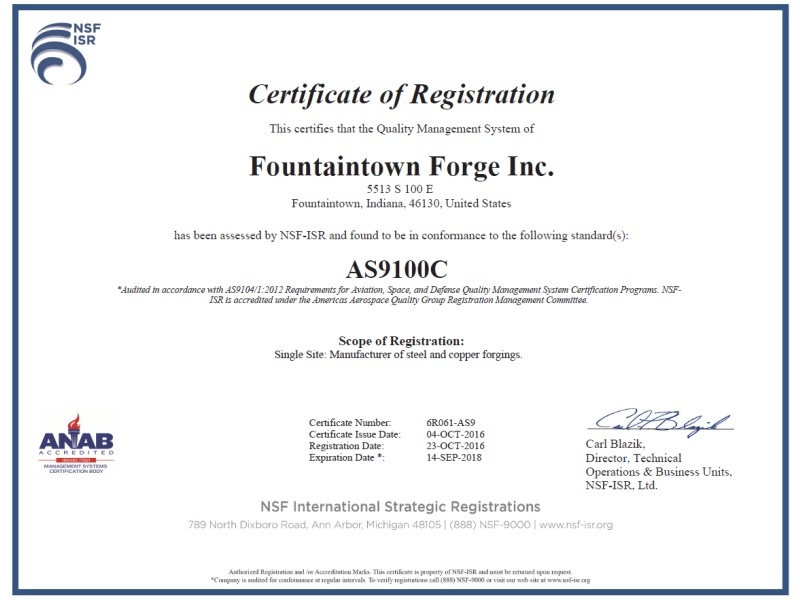 Fountaintown Forge, Inc. currently forges all types of market materials that are manufactured into: spindles, single and double hub gear blanks, bars, blocks, shafts, rings, discs and special product blanks for the commercial, industrial and aircraft markets.